Drywall repair services can bring your property back to its original condition after serious water damage or an accident. If your drywall is in need of repairs and attention, we can assist as a group of experienced drywall replacement professionals. Each one of our installers has many years of experience providing drywall repair services, popcorn ceiling removal and more. When contacting our company we can make the process of completing your home renovations with much easier. Our company will do all of the removal processes, heavy lifting and clean up and make sure that our workmanship is top-notch. We guarantee all of the work that we do and we can pick up any of the applicable permits that are required for construction. Drywall can be damaged for a number of different reasons! 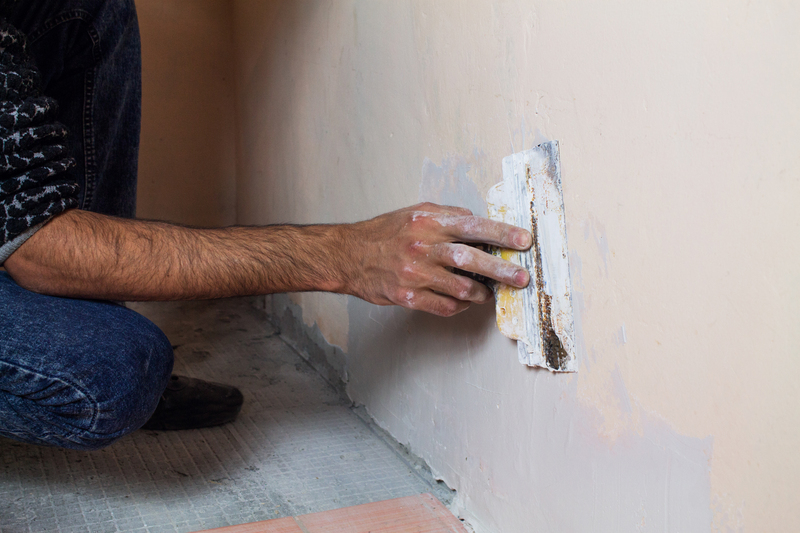 In many of our service appointments, we may notice that drywall just requires a quick patch. In cases like moisture damage, drywall may have cracked due to a lack of ventilation or from a plumbing leak. We can perform the Orlando plumbing repair and then patch up drywall to bring your property back to its original condition. Color matching services are also available so that we can put a fresh coat of paint over the area to finish off the space. If you are in need of Orlando drywall repair, contact us ASAP and we will provide you with a free estimate! Popcorn ceiling removal in Orlando is often needed in the event of severe water damage, rodents, settling and more. As popcorn ceilings are often produced using drywall and then a specialty texture, the replacement can often require a process that is similar to drywall patching. If you have experienced any problems with your popcorn ceiling, we can handle the process of patching, installation, and repairs. This type of ceiling item is something that is commonly used throughout commercial and residential properties. Matching the same textures as well as getting the right materials is crucial to making sure that the look of this ceiling repair can be done well. With our assistance, we can make sure that the repair job takes place in a timely manner and that it can blend in with your existing ceiling. We will re-create the same texture as well as provide paint matching services so that the patch or replacement will not directly stand out against the other areas of your ceiling. We are restoration and drywall repair specialists. We can assist with the process of painting, removing ceilings, patching, complete installations and more. If you are interested in getting high-quality drywall repairs in Orlando or the surrounding area please contact our staff today for a quote. We have promotions available for these types of home repairs!